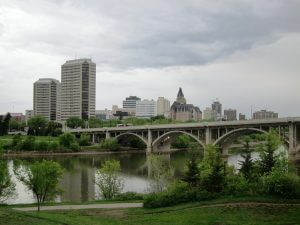 Need help with Drug & Alcohol Addiction Treatment in Saskatoon, Saskatchewan? For over three decades clients have been coming from across North America to attend treatment at Last Door. Last Door Recovery Society provides in-patient treatment for youth and adult males, from 14 years of age and older. The facilities are located in New Westminster BC. Please call us for a telephone screening, rapid intakes are available within 24 hours for those who qualify for private detox and treatment. Last Door offers some of the lowest treatment fees in the industry, $300 per day, Last Door is a longer term facility, most clients stay an average of 4 to 5 months, 90 day programs are available for those who are benefiting from a Workplace Wellness program and are being sent to treatment by their employer. Treatment services for addiction to drugs, alcohol, video gaming, nicotine. Social Model Program, clients are part of a vibrant recovery community, they learn how to live recovery while in treatment, so they can use their learned skills back in their home community. Family Program included in treatment, includes 4 day Family Program Retreat, Family Suites, Parents Group at no additional costs. If you are not looking for residential treatment, or are not able to travel to BC for treatment, here are some suggestions for you to begin you recovery journey. Dr. Fern is a General Practitioner and Surgeon with years of experience. We assess our patients carefully and make appropriate use of outside clinical services to facilitate diagnosis and treatment. We accommodate appointments in a timely manner, and prefer that you call for an appointment rather than walk in. The Lighthouse Supported Living Inc. is a Christian non-profit housing provider that offers emergency shelter, supportive living, and affordable housing for men, women, and families in Saskatoon. The Lighthouse addresses the root causes of poverty through providing housing, food services, and employment in a supportive community for anyone in need. We are committed to caring for the poor, marginalized, and the hard to house. We believe that community has the power to bring about positive change in everyone, and everyone has the potential to bring about positive change in the community.